ADHD and anxiety are two different mental disorders that may have similar symptoms. It is noteworthy that ADHD and anxiety often go hand in hand. Therefore, before to diagnose and treat ADHD or anxiety, the physician should carefully examine and evaluate all psychiatric symptoms occurring in the patient. The correct diagnosis of ADHD and anxiety is necessary in order to prescribe the optimal treatment method of these diseases. After all, anxiety and ADHD are cured by means of medications included in different pharmacological groups. Therefore, wrong diagnosis of ADHD or anxiety will become a reason for the wrong treatment and increase in ADHD or (and) anxiety symptoms. Some medications for ADHD treatment must not be prescribed to patients with severe anxiety. Therefore, it is necessary to choose an individual course of medical treatment for children and adults with ADHD and comorbid anxiety disorders. Some of the medications that must not be used in patients with ADHD and anxiety are Methylphenidate and Dexmethylphenidate. Children, adolescents and adults with ADHD know well these meds under the brand names Ritalin, Methylin, Quillivant, Daytrana, Metadate, Concerta and Focalin. Marked anxiety is a contraindication for the use of Dexmethylphenidate and Methylphenidate meds for ADHD treatment. Therefore, patients with ADHD and anxiety should refrain from using these drugs. One of the meds, which does not worsen anxiety symptoms in adults, adolescents and children with ADHD and anxiety disorders, is Strattera. Safety of Strattera for the patients with anxiety and ADHD is confirmed by the results of clinical trials. If a child or adult was diagnosed with anxiety disorder in addition to ADHD, the treatment of these diseases should be conducted carefully. If anxiety symptoms are increased after you start using meds for ADHD treatment, be sure to discuss with your doctor the possibility of using other ADHD meds. If ADHD meds cause panic attacks (anxiety attack) or depression symptoms, stop using them. If anxiety and depression symptoms are more pronounced than ADHD symptoms, a doctor can prescribe a course of antianxiety or antidepressant therapy. It should be noted that children with ADHD and anxiety are less impulsive and aggressive than their peers with ADHD without anxiety. Therefore, doctors, who have no experience in treating ADHD, can incorrectly diagnose a type of psychoneurological disorder in a child and prescribe him a wrong treatment. In adults, ADHD symptoms are less pronounced than in childhood and adolescence. Therefore, in adults, the problem of ADHD misdiagnosis with comorbid anxiety is as relevant as in childhood. For proper diagnosis of ADHD and anxiety, a physician needs to observe the patient for a few weeks or months. 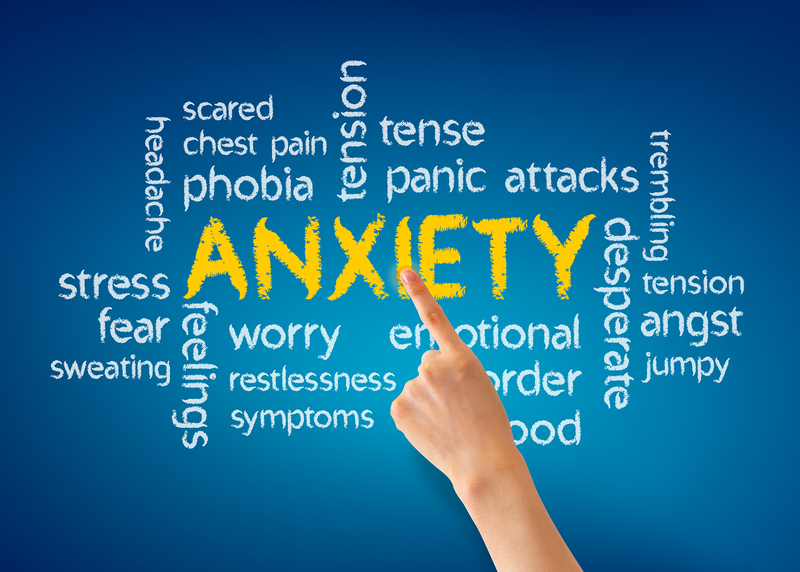 The patient’s monitoring is necessary to identify all psycho-traumatic factors that contribute to the occurrence of anxiety. If the symptoms of pronounced anxiety are observed in the patient with ADHD, the doctor can prescribe non-pharmacological treatment of anxiety disorder before prescribing ADHD meds. The use of meds for ADHD treatment in the combination with meds for anxiety treatment can be contraindicated. Thus, psychotherapy is the only available method of anxiety treatment for many patients taking pills for ADHD treatment. It should be noted that ADHD could be combined not only with anxiety, but also with other psychoemotional disorders, such as depression and social phobia. Many symptoms of these disorders are the same as that of ADHD and anxiety. Therefore, a correct diagnosis of mental disorder is a key factor of successful treatment and rapid improvement of the person’s mental health.